Vitamin E is an important, essential nutrient that is crucial for good health. * It is the body's primary fat-soluble antioxidant and appears naturally in several variant forms, called tocopherols. It is found in most vegetable oils, wheat germ, raw seeds and nuts, eggs, leafy vegetables and legumes. 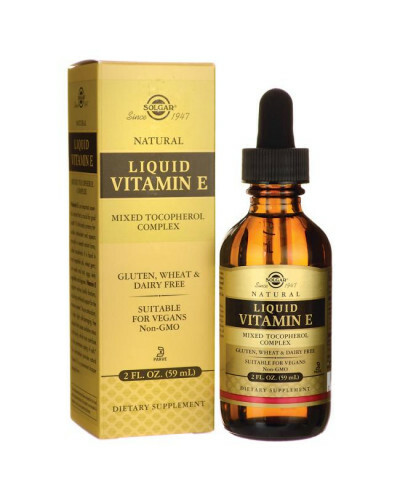 Vitamin E supports various bodily functions, including nutritional support for the skin, and the immune system. * As an antioxidant, it helps fight cell-damaging free radicals that cause oxidative stress in the body, which may contribute to the premature aging of cells. 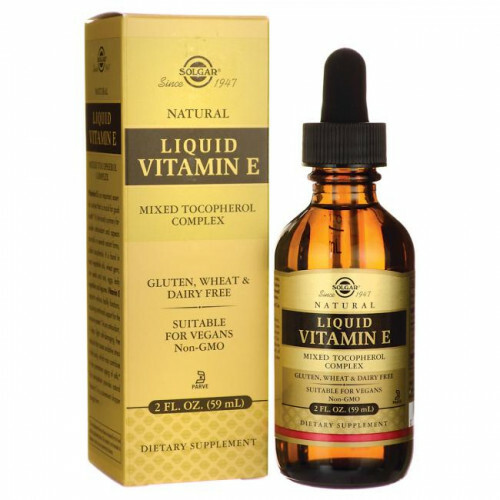 * This formulation provides natural Vitamin E in a convenient dropper dosage form. Other Ingredients: Safflower Oil, Sunflower Oil. SUGGESTED USE: SHAKE WELL before use. As a dietary supplement for adults, take 0.5 mL twice daily, preferably with a meal or as directed by a healthcare practitioner.